Coffin Shape Cremation Urns are most popular product around the world to store the ashes. 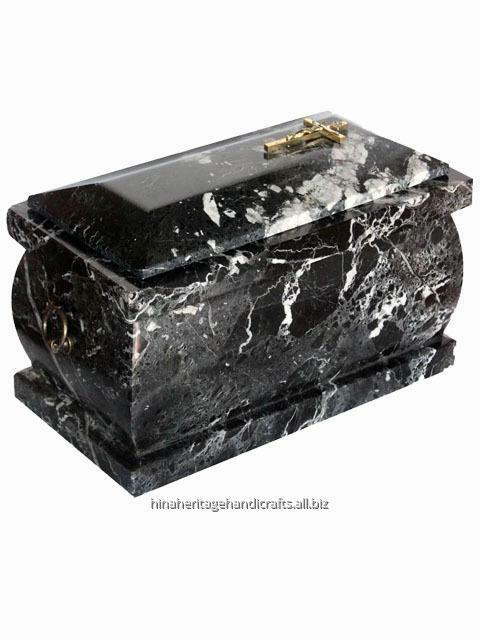 We have created this Coffin Urn in Natural Black Zebra marble, which is renowned world wide for its natural beauty, the black patterns and white veins gives it distinguish look. 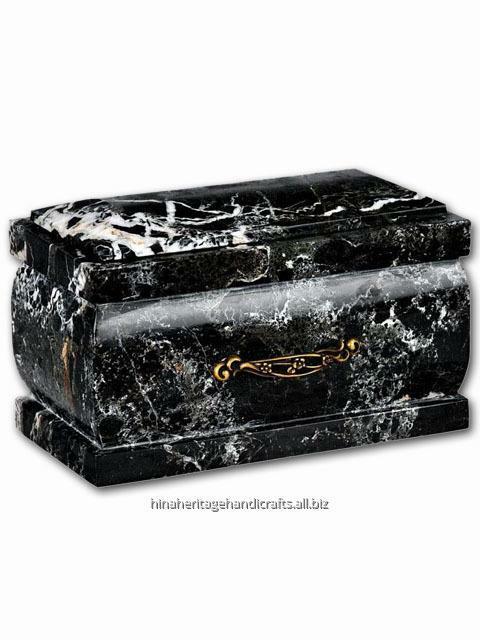 Nature has bestow the variety of Marble and Onyx to Pakistan but the Black Zebra Marble is one of the beautiful stone that are found in Pakistan & we extracted this unique urn in coffin shape. Because of the beauty and eternal durability of onyx & marble, the urn is well suited for both indoors or can be placed outdoors in your garden to be admired for generations to come. Top lid opening with metal handle to secure the ashes.